April is National Autism Awareness Month. I’m a mother of a child with autism and I, along with so many parents, live with this awareness everyday. The professionals that work with children on the spectrum have dedicated more than their careers towards helping these children. They have dedicated their hearts as well and I’ve had the privilege to work with great teachers, speech pathologists, ABA therapists, and occupational therapists. 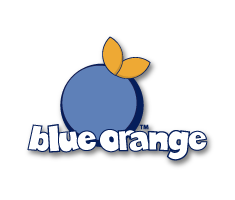 Blue Orange Games is fortunate to work with so many of these professionals and organizations. We have heard wonderful stories about how many of our games are used as tools for kids on the autism spectrum. We have a special guest post from one of these dedicated professionals. Rebecca Klockars is an Occupational Therapist with 10 years of pediatric and geriatric experience. It makes sense that these two things are together since Occupational Therapists are often an integral part of the educational and clinical treatment team for a child with Autism. Now that I have had the pleasure of working with children who are on the spectrum for some time now, I would like to share the top 5 things I have learned from these amazing kids. 5. Just because I am not looking at you, does not mean that I do not see you. Children with autism often look at people through their peripheral vision. It is difficult to look at a person directly and take the infinite number of muscle combinations AND listen to what they are saying. So if someone with Autism does not look at you in the eyes while talking, please understand you are a visual complex piece of art, and it is sometimes hard for someone to look and listen at the same time. 4. That clock ticking in the background is making my head explode. Things you and I may be able to force to the background, like the clock ticking, a fan humming, a light flickering, may not be the case for someone with autism. Many times a person with autism is on high alert to the things in their environment. Their threshold for tolerating the smells, sounds, sights, tastes, and touches of the environment they are in can send their bodies into flight or fight mode. 3. Show me, don’t tell me. Visual supports help many people with and without Autism Spectrum Disorder. I love my checklists; it helps me organize my day. But breaking down tasks and expectations with visuals, either words or pictures, can help ease anxiety and help someone with autism be successful at home, school and work. 2. Give me a minute, will ya? When I first transitioned to school based therapy from geriatrics, I had the pleasure of attending The Autism Project of Rhode Island’s A Starting Point, which was a multi week learning experience that touched on many aspects of Autism. But one of the most poignant statements was regarding giving time to process auditory requests. Picture a rotary phone (if you don’t know what a rotary phone is, ask someone at least in their 30s); every time you verbally request something it sets the dial back all the way. Give time for the dial (aka person) to process it or they will not be make the call. There is an amazing person stuck inside that little body, just waiting for someone to make a connection and “get” them. Sometimes it takes getting them on a swing or blowing some bubbles to get that little smile or laugh. Then before you know it, that little person is requesting more with signs, gestures, pictures, or words. Other times, you have to take a sledgehammer to open the door to functional communication just a little crack. But keep working, because there is an awesome little being in there, wanting someone to play with them.